Amazon's unholy alliance with Whole Foods is about to produce some serious perks for shoppers. On Wednesday, the two companies announced what could deliver a major blow to Walmart and other competitors: the grocer is now offering permanent 10% discounts to all Amazon Prime members. Shoppers can recoup the savings by using the Whole Foods Market mobile app at checkout for "hundreds of items" as well as various select deals that will be offered in a weekly rotation at the grocery chain, per a press release. The exclusive discounts will be prominently displayed throughout stores. 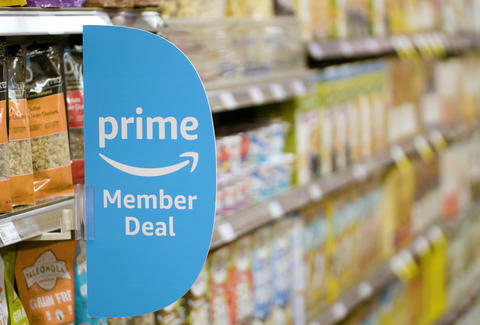 The Prime deal is currently available in all stores across Florida and will expand to all Whole Foods and Whole Foods 365 locations nationwide starting this summer, the company said. This should ostensibly do a lot to overcome Whole Foods' reputation as a somewhat exclusive chain with high-cost, organic goods. The news was originally reported earlier this month by CNBC's Lauren Hirsch, who cited anonymous sources claiming the discounts were imminent. The price-slashes should present a boon for Whole Foods, given Amazon's Prime membership base now encompasses 100 million people, the company announced in April. Additionally, it will give the Austin-based chain a stronger foothold in the battle for Walmart's customers, who are more inclined to bargain-hunt than pay a premium for organic Musaka. The announcement also comes after Jeff Bezos' conglomerate jacked up prices on annual Prime memberships by 20%, raising the cost from from $99 to $119, effective May 11. In an earnings call last month, Brian Olsavsky, Amazon's chief financial officer, hinted that more Prime benefits were afoot, despite the membership fee hikes. "Prime provides a unique combination of benefits, and we continue to invest in making this Prime program even more valuable for our members," he said. Amazon's blockbuster merger with Whole Foods last summer has bared some minimal fruits for shoppers, mostly in the form of free grocery deliveries. The new Prime discounts at the grocer should provide a much more substantial reason to wade through dense lines and grapple with the question of whether or not to buy asparagus water at your local Whole Foods. Consider it a small concession from the world's wealthiest man.